Even the largest businesses with a thorough process create junk. Plans and disposal procedures are probably already in place to make sure that your office is junk-free. There are instances wherein you might accumulate loads of junk in a week that you cannot handle. Clearing out warehouses and offices will definitely lead to piles of junk that might not be disposed of properly despite regular junk removal. How can you get rid of junk on a large-scale? If you are running a small to medium-sized business, getting rid of the junk on your own might be a good idea to save money. The downside to DIY junk removal is that your employees would have to do some of the junk removal and de-cluttering aside from their regular work. You might not have enough employees to get rid of the junk in your office or warehouse. You might end up spending more money and losing staff time, if you do not hire junk removers. 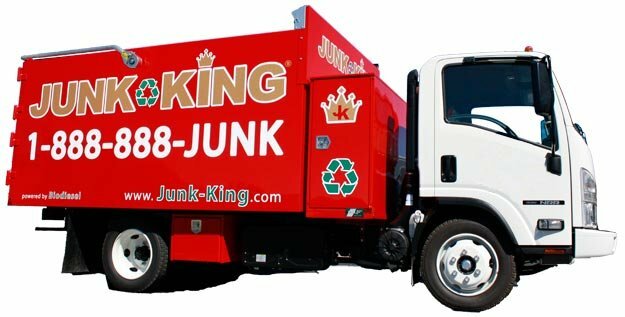 Getting rid of the junk might require you to hire a vehicle or a dumpster. It might also take several trips to get rid of all the waste your business created. You have to consider other fees such as dumpster and vehicle rental needed for the project. You also increase the risk of injury because you or your staff will have to carry and haul heavy office equipment. DIY junk removal has its advantages, but you have to prepare for the cons. The added liability of potential injury may not be worth what you think you are saving. Hiring a junk remover takes the dirty work of getting rid of junk in your office off your hands. Removers do all of the labor for you, you do not have to waste time and risk injury getting rid of the junk on your own. Removers also work around your schedule, you do not have to change plans or ask some of your staff to do the hauling and lifting. When it comes to large-scale junk, the last thing you want to do is to expose your company to the liabilities that come with getting rid of it. While DIY may seem like the most cost-effective way to do it, consider the other costs associated with doing it yourself versus hiring the professionals to handle the job for you.